– Now we can see that our Business folks (on the left) and our larger cohort of all Paid users (on the right), have roughly the same median chat duration. – In the interest of curiosity, though, it seems like this deserves more consideration, especially with the monster number of outliers. 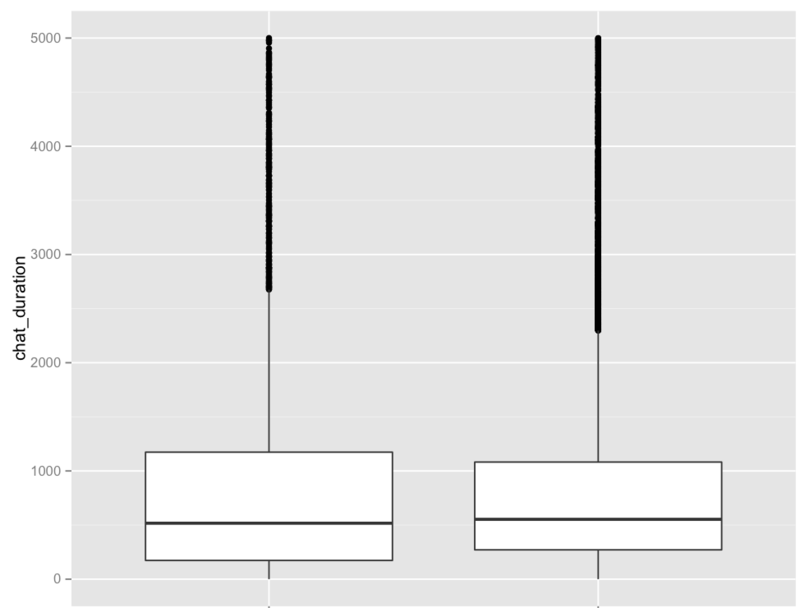 Box-and-whisker graphs are also not largely well understood, so bringing this before a broad audience wouldn’t work well if the goal is to communicate a difference (or lack of difference) in an effective way.